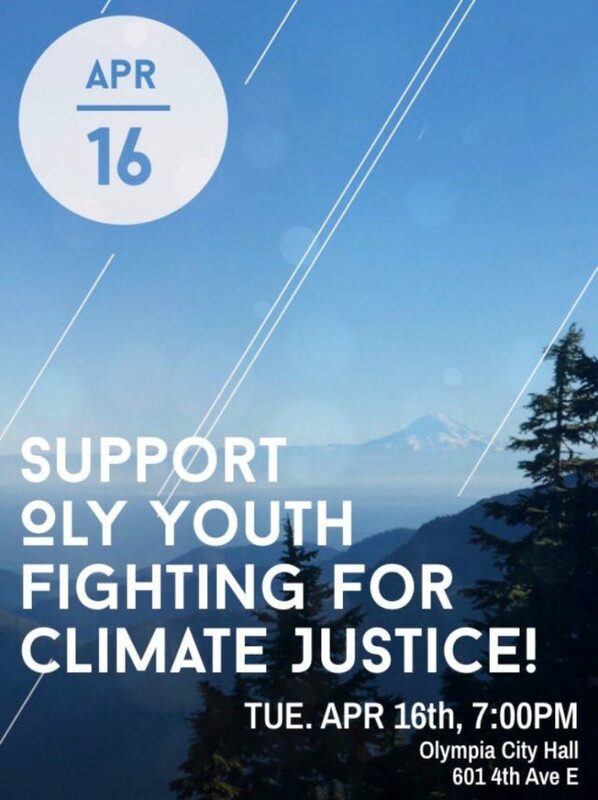 Come see Olympia High School students speak up for climate justice! They will be talking about how climate change has impacted them and why Olympia, a seemingly green city, MUST take more action to protect the future of the youth today. The OHS Climate Action Club will be also presenting a Climate Report Card for the city of Olympia (warning– the grades aren’t the parent-pleasing grades everyone wants!) and a Climate Inheritance Resolution. Come find out what this is all about on April 16th, 7:00 pm at the Olympia City Hall!